I love my new residence! Having a tanning bed, pool, hot tub, free printing, study room, and most of all the homey, spacious feeling the town house gives us the best! The place was is overall good condition. Our door latch wasn't working properly, and it took maintenance almost a whole month to actually fix the door. We had to make multiple maintenance requests in order to get it fixed. Joseph, Thank you for your review! I apologize for the delay with your work order. The days immediately following our big Move-in Day can be very hectic and we appreciated your patience! - Thanks again! I absolutely love Copper Beech. 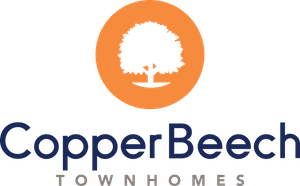 Friends of mine have lived in different apartment complexes, but there’s no contest: Copper Beech is the best deal in Morgantown! Neve, You are the bee's knees! We couldn't agree with you more! Thank you for being an awesome Resident and thank you for your honest review! Honestly is great besides the rats that are outside. These are the biggest rats I have ever seen and I know you are saying it is cause of dog poo but I can watch them from my window digging in and out of the dumpsters every night. Nice townhomes that are a little outdated. Can get pretty noisy on weekends and no one picks up their dogs poop. Maintenance is pretty quick and the management is nice, but not very efficient. Brandon, We appreciate your honesty! Please feel free to stop by the Leasing Office and ask to speak to the Community Manager about your concerns. We'd be happy to work together to earn a 5-Star review from you in the future! It's great. I love it here. So much space and i found so many great friedns here at copper beech. I just wish Copper Beech would fix my bathroom. Tori, Yes! This is what separates Copper Beech from those other guys! We're so excited to hear that you've made so many friends while living at Copper and it sure doesn't hurt to have a 2000sqft townhome to entertain all of them! Keep an eye out tomorrow for a call from the Community Manager to update you about your bathroom! Thank you! Matthew, This is great information! All of our Leasing Staff genuinely loves holding Resident Events and we spend quality time deciding what events to hold. We insist that if you have some great ideas for future events, big or small, that you reach out to our Leasing Office and let us know! Let's work together! Thanks again! I love the quiet and welcoming neighborhood! The townhouse is very spacious and has great closets! My dog and I enjoy living here in our home! Megan, Our Community Assistant Kerilyn absolutely loves to show all of our guests just how huge these closets are, because, well.. they're YUGE! Try and find a closet half the size of ours at any of the 'other guy's' places in town! You have enough room for every shirt you've bought since grade school (..on top of all the ones you've ever regretfully bought for your pup. We've all done it.) Thanks again Megan! I was very surprised with how much space was offered for two rooms. It's in a cool little valley, and the balcony is wonderful. Although, my experience with management and work orders has been quite irritating. Loved everything about copper beech. It is extremely clean, quiet, secluded, and within distance of everything that I needed such as campus and cooper’s rock. It's usually very quiet--I hardly ever hear my neighbors. I also definitely enjoy that they're pet-friendly. Staff is very helpful and kind. I would definitely recommend. I had a great experience living here for the most part. A less than good part was living next to a dumpster and having to deal with the rats and nothing was done about it because the other residents refused to pick up after their dogs. I have lived at Copper Beech for almost 4 years now and I love it. Staff & maintenance are always very nice and helpful. Very spacious and nice! Worse place I’ve live due to management. Whenever you have an issue no one will ever return your call and then they say they never got your message after you go higher up the latter! Copper Beech is good value for the price. It is affordable living for those who are on a budget. I also chose to live here because the apartments come furnished. I have had a great experience at Copper Beech so far. The management has been helpful and I haven't had any issues with maintenance either. Overall, it has been great. Copper Beech is a great place to live. The townhouses are good for the price. I would like it better if there were more shuttles to and from the Evansdale campus. I haven't lived in the community yet but I look forward to moving in to my apartment in August! Everyone was so kind and helpful with the leasing process and getting everything ready for me to live here. Would be better but the apartments need some work, need cleaned on the outside, and rats are a big problem. Hot tubs are always broken. Gym equipment is always broken and never fixed. If you put in a maintenance request it always takes forever and they do a poor job. This is a good place to live for the value. Not too close to campus, not too far from downtown. I do however wish that there were 2 shuttle buses instead of just the one. Copper Beech is a great place to live. My favorite thing about the community in Morgantown is our bus driver, Sarah. The shuttle is always reliable and she always makes sure to put a smile on your face. The apartments themselves are very nice, but if there is a problem, you have to continuously contact management to even get a response. Additionally, I was told I would be compensated by February 1st since our apartment has been lacking carpet since September 7th, and that has yet to happen.